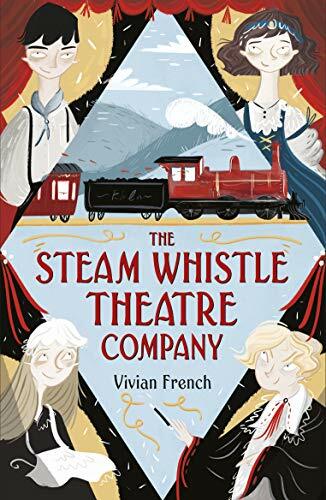 A standing ovation for Vivian French whose new adventure has all the elements of the best dramas, i.e. intrepid heroes and unscrupulous villains, lively scenes, a profusion of hopes, dreams and well-laid plans going awry. It opens in London where the Pringle Players, a family theatre-troupe, are facing shrinking audiences and hard times. Almost before you can say curtain up however, Pa Pringle has had a flash of inspiration and the family, including youngsters Charlie and Rosie, are travelling north to the provinces and audiences who have yet to experience the delights of Pa’s Lear. Newly arrived in the unsuspecting town of Uncaster they encounter rival theatricals escapologist Little Baby Bubbles and his manager mother, who have had the same thought and have even more pressing reasons for escaping the capital. The Pringles find digs with the aristocratic Lady Poskett, also down on her uppers, and in spite of the best efforts of their rivals and thanks mostly to the determination and ingenuity of housemaid Edie their show goes on and is declared a triumph. French is a gifted storyteller and this is a delight from start to finish, action-packed, hugely entertaining. Set in the late 1800s there’s a real sense of the times too and best of all she vividly conjures up the camaraderie of the theatre.